Shalom and welcome to Today’s post on God’s name. Why didn’t he call his father by his name? Reason is simple, God’s name is sacred and should not be taken in vain (as stated in “The Ten Commandments“). This is a rule still enforced and followed by Jews Today, that’s why they respectfully refer to God as Adonai Elohim. Yeshua always abode by the Law, even when he gave us the perfect prayer sample through “Lord’s Prayer”. God does have many names being Tetragrammaton the most respected one; and by far the one who infers or reveals Yeshua’s purpose, as described in the Tanakh and B’rit Hadashah. In order to understand this, we must firstly know about the origins of the Hebrew language (and by the way, I’m not a Hebrew expert and I’m learning as I go). 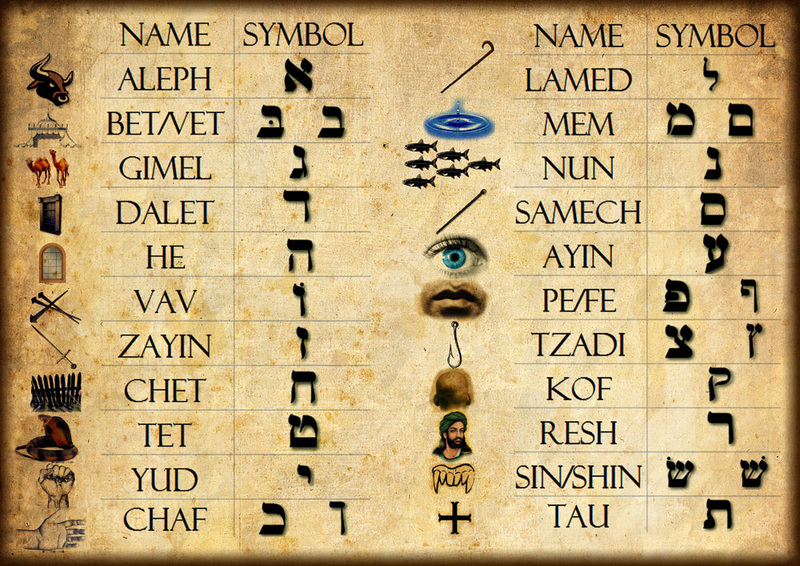 The Hebrew alphabet has 22 letters and it is a variant of the Phoenician alphabet. Every letter is represented by a symbol, having said that if we take God’s name as it is in the Tetragrammaton we have the Hebrew letters י (yud) ה (heh) ו (vav) ה (heh), or YHWH. Then it can be interpreted as “Revelation through the hand with nails”. The only historic character whose “hands” (according to historians were his wrists instead of hands though) that were nailed were Yeshua’s, even his name means “Salvation” or “He Saves” (He being God). As mentioned earlier, I’m not Hebrew and I’m learning as I go but Ruach Hakodesh put this message in my heart so I’m sharing it with you all. In my humble opinion, any other name for God might be referring to someone else because it’s not as it appears in the bible (e.g. : Yahveh, Jehovah, etc.). If my name were Pedro (Spanish for Peter) why would people then start calling me Peter, it is a proper name, therefore should not be translated. If we follow this rule for places and persons, why not follow it and respect it for God and his son Yeshua? The Hebrew Letter chart and Paleo Hebrew alphabet used were borrowed from Shane Willard Ministries.